I was trying to find a picture of myself for OKCUPID (yay!) the other day and I couldn’t figure out why I hated all my recent pics!! Of course, I just assumed I was just getting older, or fatter (yikes! ), or maybe because it was winter, my skin was paler so I didn’t have a “glow” to my skin. Then, when going back to pictures from this last summer, I realized it was my TEETH! 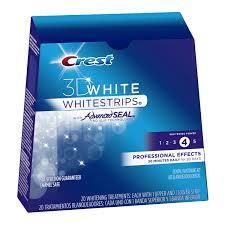 I haven’t used my whitestrips since then! When your hair is blonde, you do NOT want your teeth matching it!! The regime is a tried and true and tested regimen that me and my girls all use, but remember! You have to use all 3 of the dental products for it to work, and the makeup highlighter is a bonus that makes your smile dazzle that much more! 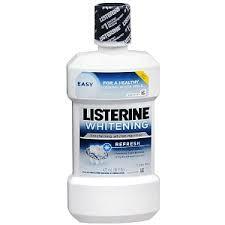 1) Listerine Whitening Mouthwash. Floss beforehand, then swish this magic bubbling solution around in your mouth for 30 seconds or so before brushing. You can actually see it working afterwards….the peroxide will slightly foam around the edges of your teeth. #winning! Sorry Crest… Listerine has this one nailed down. This is far superior to the crest brand whitening rinse. 2) Brush yer tooths!!! With THIS!!!! This toothpaste is EVERYTHING. And its less sweet so my mouth feels cleaner than any other brand I’ve used. 3) Use Crest Whitestrips as needed, following the manufacturer’s directions…and don’t skimp and try to buy the store brand! Crest has nailed this product. Even my dentist says they’re amazing. 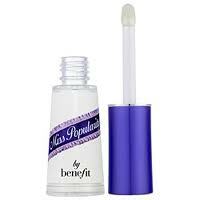 I think they must of named this make-up after one of us. A woman who is truly smiling and laughing is always the most beautiful one in the room….! Do not use this regimen and then fake-laugh, fake-smile, or anything else not nice!